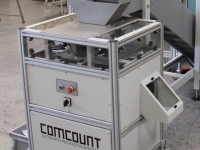 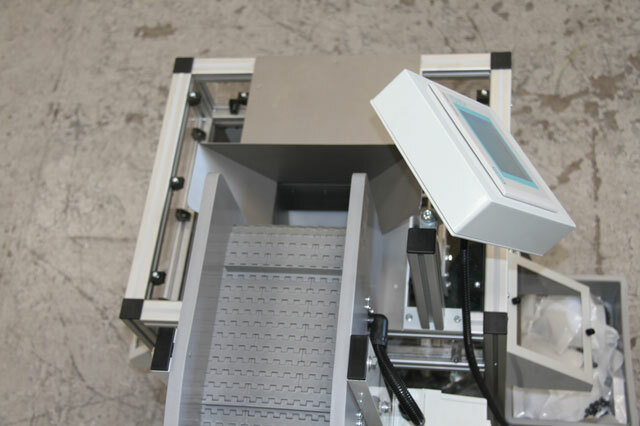 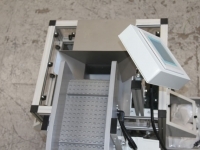 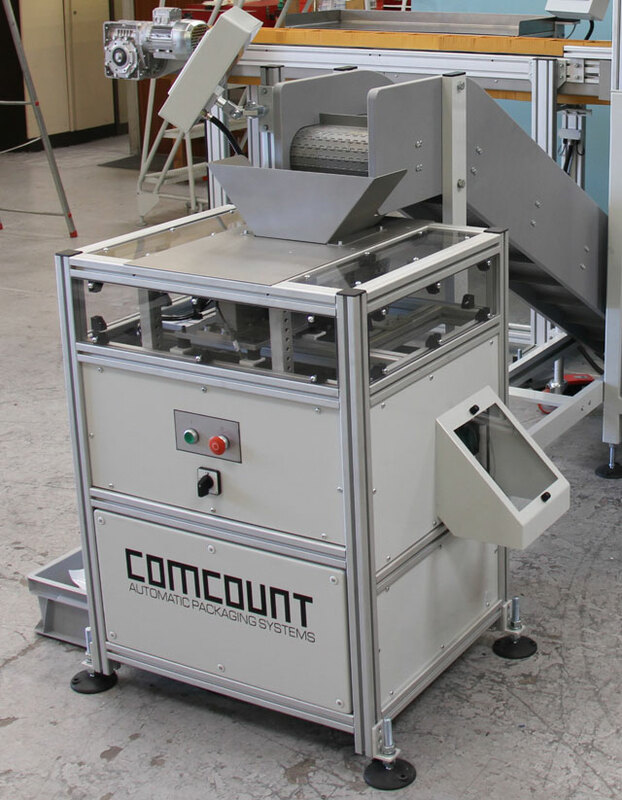 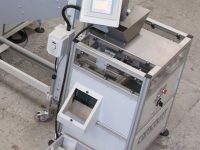 The Comcount CW150 is an automatic checkweigher unit ideal for use with an Autobag Bagmaker to weigh check and reject out of tolerance bags up to 500g in weight. 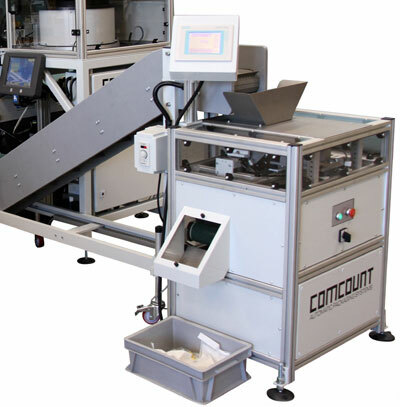 The unit basically consists of a weighpan assembly mounted on a high precision weighing mechanism, an accept/reject conveyor which reverses to eject out of tolerance bags and a Siemens PLC control system. 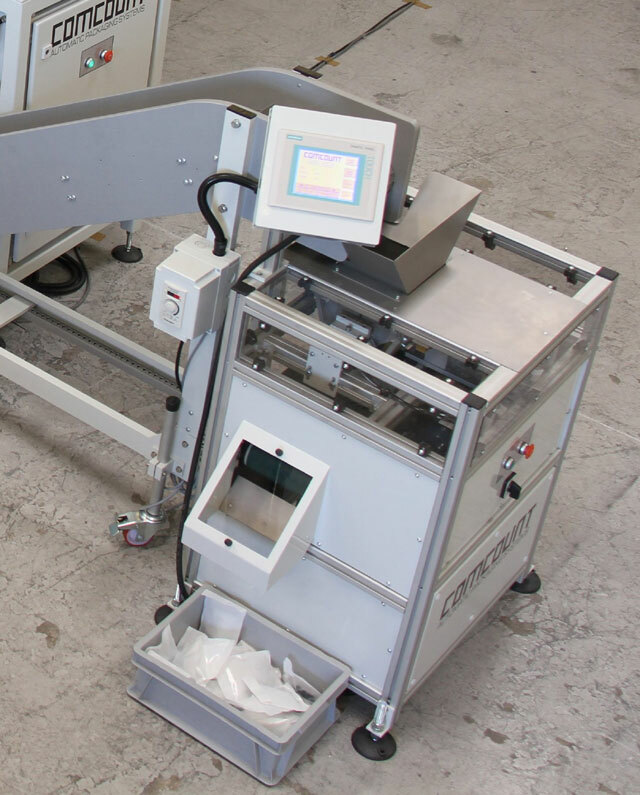 The filled bags are fed into the checkweigher unit by means of a variable speed inclined conveyor at speeds of up to 15 bags per minute.